Enrico Dall’Ara has been lecturer since 2015 at the Insigneo institute for in silico medicine, University of Sheffield, UK. He obtained his Mechanical Engineering degree from the University of Bologna in 2006 and his PhD in Biomechanics at the Vienna University of Technology in 2012 with the thesis “QCT based Finite Element Models of the Human Vertebra and Femur: Validation with Experiments and comparison with Bone Densitometry”. 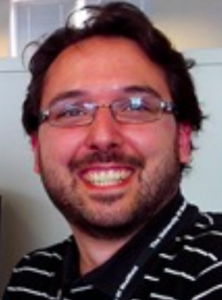 After the PhD Enrico was awarded an IEF Marie Curie Fellowship and moved to the University of Sheffield in 2013. His present research focuses on the development, calibration and validation of computational models for the prediction of bone mechanical properties and bone remodelling in preclinical and clinical applications. Enrico’s research has been funded by the EU, national UK research councils and local charities. Since 2007 he has published 45 papers in peer-reviewed international journals, two book chapters and more than 80 contributions to international conferences. He acts as reviewer for most journals in the field of bone and biomechanics. He is member of the European Society of Biomechanics (2007), the Bone Research Society (2013), the European Calcified Tissue Society (2013), the Orthopaedic Research Society (2016) and the European Microscopy Society (2017).